Juicing is absolutely one of the best thing you can do for your health. the body would consume around 35% of the nutrients in that carrot. When the carrot is juiced however, its goodness is released from the fibres and made available to the cells in as little as 15mins. This pre-digested liquid offers many more nutrients (up to 92%), and there is another huge bonus, in that it frees up digestive energy. *Juices are easily digested and assimilated within 10-15 mins after consumption. The end result is very positive because of the minimal effort needed by the digestive system. 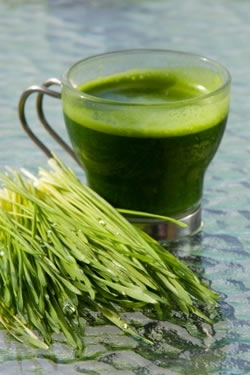 Go for raw juices for imparting vitality and increasing resistance to disease, as they have no equal! Juicing vegetables enables you to receive a higher amount of nutrients than eating the fruit or vegies alone. This is particularly useful in building up and quickly strengthening the immune system. A daily vegetable juice regime ensures that we are receiving an adequate quota of vital minerals. All juices purchased in bottles or containers (fresh and longlife) have been pasteurised. This means the juice has been put through a heated process in which the enzymes have been destroyed, in order for this product to be preserved for a longer length of time. This proves that the only real juice you will benefit by, is the juice that is freshly prepared in a juicer. Other juices may look and taste like freshly squeezed juice but are lacking most of the essential vitamins, minerals and most important, enzymes. If you’re out and about, and in need of a quick, healthy meal, go no further than your local Boost Juice Bar! You won’t get better value for your money and nutrition, than a power packed Vegetable Juice combo. Cost around $6 –and is a great meal replacement! www.juicersaustralia.com.au have a great range of juicers and water distillers. Most juicers available through retail outlets are Centrifugal juicers with speeds ranging between, 10,000-30,000rpms. They explain that “their main purpose is to produce juice as fast as possible. The result is generally an oxygenated that is heated at a molecular level, subsequently shortening the life of the juice to varying degrees. These are not true juice extractors, as the resultant juice also contains finely cut/shredded produce, blended into it. Because the nutrients are preserved, the juice tastes stronger and has a much longer shelf life”. You can choose one of several different juice extractors at the site mentioned above. "You and you alone are responsible for the result of how you nourish your body. THE LIFE IN YOUR FOOD IS WHAT COUNTS. It depends on you ,and you alone,whether the food you eat will result in nutrition or MAL-nutrition. By supplying our body daily with the elements of which it is composed we can have complete health,provided that we give thought,attention and consideration to the other two parts of our being, namely our Mind and our Spirit. We can eat the finest and most constructive food in creation, but this will not prevent the disintegration of the body if resentments, fear, worry, frustration and negative states of mind are permitted to obsess us. In order to regain and maintain the proper balance of health, most of the food we eat must contain live, vital, organic elements, and these are found in fresh raw vegetables and fruits, in nuts and seeds. Our creator developed the human body with an inherent colossal amount of tolerance for body punishment. When we eat things that are not good for us, or that is incompatible with our nutritional requirements and balance, we suffer. We are warnedand punished by pain or cramps, leading eventually to dis-easeand perhaps to one or more of the infinate number of ailments which afflict humanity. Why not just eatthe whole vegetables and fruit instead of extracting the juice and discarding the fibres? The answer is simple: solid food requires many hours of digestive activity before its nourishment is finally available to the cells & tissues of the body. By the removal of the fibres in the extraction of the juices however,such juices are very quickly digested and assimilated, sometimes in a matter of minutes, with a minimum of effort and exertion on the part of the digestive system. Under no circumstances consider that raw fresh vegetable juices are a concentrated food,when they are in their natural state.As a matter of fact, they are among the least concentrated and yet the most nourishing of our foods. Just one pint of Carrot,alfalfa, & lettuce juice daily,will help the growth of hair to a remarkable extent. Raw carrot juice may be taken indefinately in any resonable quantities-from 1 to 8 pints a day. It has the effect of helping to normalize the entire system. It is the richest source of Vit A, valuable in the improvement and maintenance of the bone structure of the teeth. Nursing mothers should drink plenty of raw carrot juice, to enhance the quality ot their milk. is a natural solvent for ulcerous and cancerous conditions.It is resistant to infections, doing most efficient work in conjunction with the adrenal glands. It is also reown for improving the eyesight. is invaluable as a food for the blood cells.It is also high in naturally occurring sodium. The regular table salt is composed of insoluble inorganic elements. Varicose veins, hardening of the arteries and other ailments have been traced to the excessive of this type of salt. Salt is necessary in the generation and functions of the digestive fluids in the system. Without salt good digestion is virtually impossible,but such salt must be intirely soluble in water. Every cell in the body is constantly bathed in a solution of saline water, and if this is not maintained at its required level, dehydration sets in. Rock salt has been found to be soluble in water and in moderation of course, we have found to be compatible and satisfactory. Celery juice has the effect of normalizing body temperature. has many valuable properties, such, for example, as the promotion of hair growth, due to its high silicon and sulphur content, particularly when mixed with carrot & spinach juice. It is equally helpful in afflictions of our gums & teeth, skin eruptions,and in preventing the splitting of the nails and falling out of hair. is most potent of all the juices and should never be taken alone. It contains the properties which are essential to oxygen metabolism in maintaining the normal action of the adrenal & thyroid glands.It greatly assists the kidneys and the bladder, and efficient in every ailment connected with the eyes & optic nerve system.Parsley added with carrot juice has been effective on menstral cramps and irregularities. This is one of the most valuable juices for helping to build up the red corpuscles of the blood and tone up the blood generally.It has been found from experience that it is best to take less beet juice and more carrot juice in the beginning till one can tolerate its beneficial cleansing effect. It is particularly beneficial to menstrual disturbances. Carrot,Beet and cucumber juice is beneficial in the removal of gallstones,kidney stones and gravel in the gallbladder. This potent trio gives us one of the finest cleansing and healing aids for the gall bladder, the liver, the kidneys and the prostate." Here, were just to name a few benefits of the most helpful veggies, one could use on a detox/juicefast. its benefits are truly superior to any vitamin pill! *Juice fasting on any of the above juices is the first step, one should take at the onset of a cold, or under stressful situations.This will not only furnish the body with much needed nutrients, but will also give the body time out from digestion, and free the body to self heal. *Juicing daily is such a valuable tool to from regenerating to maintaining optimum health. ..and as I've mentioned before, Dr Norman Walker died healthy,at the age of 118yrs old! Along with my green smoothies, juices are an integral part of my daily health regime, I guess you can see why. *Add to your pets meals. *Add to Meat loaf recipes instead of breadcrumbs.